Quad City Chaos. 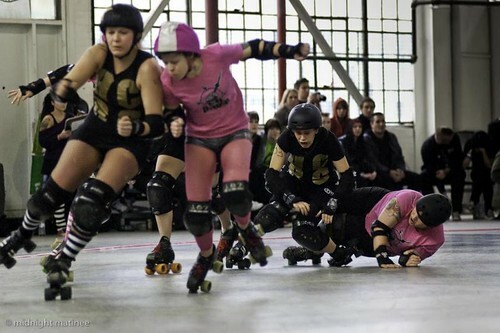 It was the longest Rollerderbyweekend ever we've experienced. It was work and fun at the same time with all the camera gear. Next time we'll have to try the pizza. Don't forget to support the CN Power climb up the Tower for the good WWF.